An attorney for a man accused of gunning down a man and his adult son at a Golden Hill bus stop told jurors Tuesday that the largely circumstantial evidence does not prove his client committed the murders. 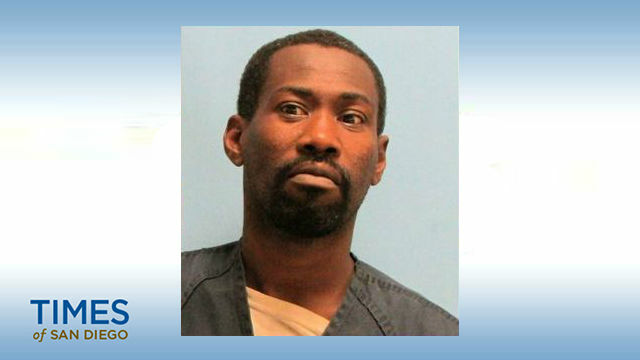 Marlon Johnson, 40, is charged with killing Darryl Hunter, 49, and his 30-year-old son Keith Butler on Jan. 9, 2011. Prosecutor Valerie Summers told the jury in her opening statement that the evidence against Johnson — including cigarette butts with his DNA on them, cell phone tower data and eyewitness accounts — is circumstantial. But she said the forensic evidence and testimony should lead the panel to convict Johnson of the murders at the bus stop at the intersection of 30th and C streets. “I don’t have a Jason Bourne video on this corner,” she said, referring to the spy movie franchise. Defense attorney Kevin Haughton countered that the lack of a murder weapon and eyewitness accounts that conflict with the narrative presented by the prosecution should lead the jury to exonerate Johnson. He said Johnson was just one of many people near the scene when Hunter and Butler were shot. The jury heard testimony from a nurse practitioner who rushed to the aid of Hunter, who was bleeding profusely from four gunshot wounds, and from the then-girlfriend of Butler, who was 10 weeks pregnant with his son at the time of his death. The victims had gone to Butler’s girlfriend’s apartment on the night of their deaths. They visited with the woman for about an hour before the older man decided to leave, and Butler left to accompany his father to the nearby bus stop, according to the prosecution. About 20 minutes later, Butler ran back into the apartment and told his girlfriend to call 911. He then collapsed, gravely wounded. Johnson was identified early on in the investigation as a potential suspect in the case, but detectives did not have sufficient cause to charge him until 2016, when they said new evidence allegedly implicated him in the double killing and obtained a warrant for his arrest. He was taken into custody that July in Maumelle, Arkansas.